Dr Jamie Clarke is the Executive Headteacher at Sponne School in Towcester, Northamptonshire – an Ofsted outstanding secondary school. This is his second headship since first becoming a headteacher in 2000. 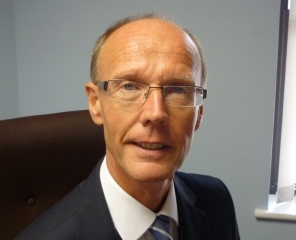 He has a vast amount of experience and impact with school improvement and has utilised this to support other schools and academies as a National Leader of Education. More recently, he has devoted considerable time to leading a chain of secondary academies in the role of CEO as they strive and demonstrate significant improvement. Jamie has been inspecting for Ofsted since 2003 and is accredited to undertake Pupil Premium Reviews. He gained his doctorate in 2012 and his thesis focused on Ofsted inspection and headteacher leadership. 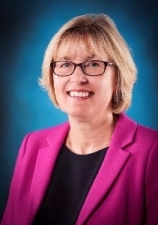 Julie Swales is the Principal of Guilsborough Multi-Academy Trust and a member of the Board of Directors. Julie has spent the last 26 years working in Education, in four different secondary schools. Whilst at Roade School she worked alongside Primary colleagues to write a research paper on the impact of transition and more recently working with the Head of School at Naseby Primary Academy. During her time at Magdalen School she set up and lead the Mathematics and Computing Specialist School. During her first Deputy Headship she was the pastoral lead with overall responsibility for Child Protection and Behaviour for Learning taking the Ofsted judgement from Satisfactory to Good. She became Curriculum Deputy at Guilsborough in 2011, where she was responsible for writing the timetable, organising the curriculum and appointing staff. Julie was appointed Headteacher at Guilsborough in 2014 and then became Principal of Guilsborough Multi-Academy Trust in 2016. Julie lives in Northamptonshire, is married to a teacher and has two grown up children. Julie believes strongly that everyone is talented in their own way and that the key to confidence and success is finding those skills and developing them. Alongside this, she believes that everyone wants to do their best, but sometimes we need support and appropriate praise to achieve this. Julie would be able to give advice and support on the general role of a headteacher, but more specifically; curriculum planning, timetabling, teaching and learning, finance, data analysis and quality assurance.